Hi everyone see these new sunscreen picks 2019, recommended by Reddit, Consumer Reports, Prevention or Beautypedia! I’ll include coupon codes and gift with purchase for Bluemercury, Nordstrom and more luxury retailers. I’ll mark Mineral Sunscreens with * after the price. All active and inactive ingredients are provided, enjoy! Water (Aqua), Ethylhexyl Methoxycinnamate, Diethylamino Hydroxybenzoyl Hexyl Benzoate, Dibutyl Adipate, Ethylhexyl Triazone, Glycerin, Methyl Methacrylate Crosspolymer, Phenylbenzimidazole Sulfonic Acid, Bis-Ethylhexyloxyphenol Methoxyphenyl Triazine, Arginine, Cyclohexasiloxane, Lauryl Glucoside, Polyglyceryl-2 Dipolyhydroxystearate, Tocopheryl Acetate, Cassia Alata Leaf Extract, Panthenol, Butylene Glycol, Propylene Glycol, Pentylene Glycol, Phenoxyethanol, Acetamide Mea, Xanthan Gum, Cyclopentasiloxane, Caprylic/Capric Triglyceride, Sodium Carboxymethyl Betaglucan, Ascorbyl Tetraisopalmitate, Tocopherol, Pantolactone, Carbomer, Citric Acid, Methylparaben, Ethylparaben, Dna. A hair powder and 100% mineral SPF 45 in one to help keep your scalp sunburn-free. Active Ingredients: Zinc Oxide (24.5%) Inactive Ingredients: Calcium Aluminum Borosilicate, Silica, Polymethyl Methacrylate, Ethylhexylglycerin, Triethoxycaprylylsilane, Nylon-6/12, Iron Oxides (CI 77492), Sodium Dehydroacetate, Titanium Dioxide (CI 77891), Olive Glycerides, Iron Oxides (CI 77499), Ascorbyl Palmitate, Iron Oxides (CI 77491), Ceramide. NORDSTROM Choose a Free 11pc Gift with Your $85 Women’s or Men’s Fragrance Purchase enter PINK or YELLOW at checkout. See all Nordstrom gift with purchase. Weightless, tinted sunscreen formulated with 100% physical filters and zinc oxide, providing broad-spectrum UVA/UVB protection for radiant skin. Water-resistant for up to 40 minutes, paraben-free, non-comedogenic, and ideal for all skin types, even very sensitive. A four-piece set that provides the perfect protection for long days spent in the sun. Including Full-size Ultimate Sun Protection Lotion WetForce SPF 50+ (1.7 oz. ): a lightweight SPF 50+ sunscreen in a clear formula that becomes more effective when exposed to water. Best physical sunscreens 2018 — according to Reddit. There are only 3 sunscreens that are recommended. Thanks reddit/r/skincareaddiction! Minerals are a girl’s best friend – especially when it comes to sun protection! These lightweight, easy-to apply mineral sunscreens protect your skin with broad spectrum reflective barriers and nothing nano. Best physical sunscreens 2018 — according to Reddit. Sunplay Baby Milk has no UV absorbent (non chemical). It is a skin-friendly sunburn stopper. Recommended for babies and sensitive skin. 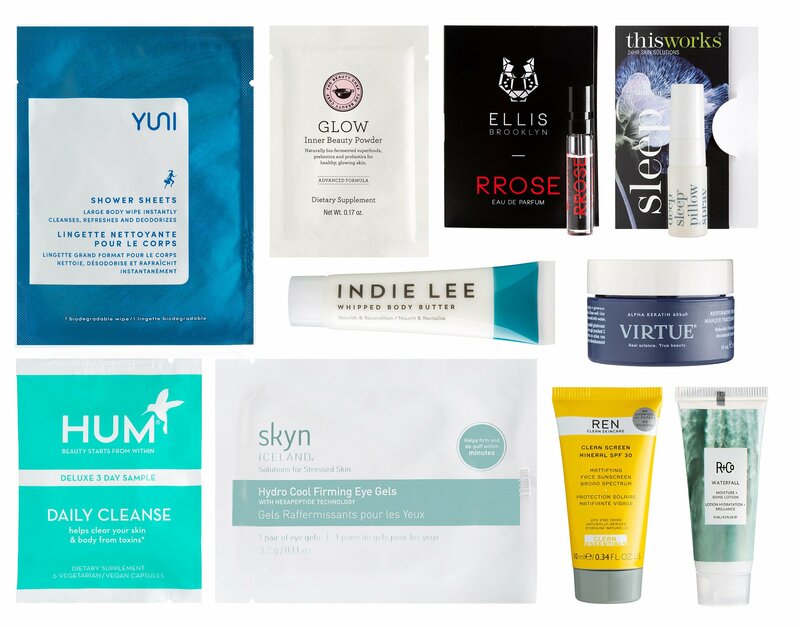 Beauty Enthusiast Members: Get a free sample-filled bag with $20 Beauty and Personal Care Purchase. Use code APRILSHOWERS to get 25% off sitewide on one regular priced items, ends 4/6. Through 4/6, Extra 20% OFF $50 Beauty & Personal Care w/ code SPRINGBEAUTY. Anthelios Melt-In Sunscreen Milk SPF 60 for Face and Body is formulated with exclusive Cell-OX Shield technology, combines UVA/UVB filters to deliver broad spectrum protection, and has antioxidants to protect skin from free radicals. The fast absorbing sunscreen has a velvety texture and is easy to apply. Non-greasy. Oil-free. Water resistant (80 minutes). Active: Avobenzone 3% (sunscreen), Homosalate 10.72% (sunscreen), Octisalate 3.21% (sunscreen), Octocrylene 6% (sunscreen), Oxybenzone 3.86% (sunscreen). Inactive: Water, Styrene/acrylates copolymer, Polymethylsilsesquioxane, Butyloctyl salicylate, Cyclopentasiloxane, Glycerin, Dimethicone, Alcohol denat., Poly c10-30 alkyl acrylate, Caprylyl methicone, Trisiloxane, Acrylates/dimethicone copolymer, PEG-100, stearate, Glyceryl stearate, Phenoxyethanol, Potassium cetyl phosphate, Propylene glycol, Caprylyl glycol, PEG-8 laurate, Acrylates/c10-30 alkyl acrylate, crosspolymer, Triethanolamine, Tocopherol, Inulin lauryl carbamate, Disodium Edta, P-anisic acid, Xanthan gum, Diethylhexyl syringylidenemalonate, Cassia alata leaf extract, Maltodextrin. Beach to Boardroom. Meet your mineral match! The Mineral Silk Crème SPF30 Oil-Free Unscented by COOLA is a multi-tasking modern masterpiece that does it all. Their oil-free, airy-light formula gently glides on to form a transparent veil, ideal for everyday use. Active: Zinc Oxide 15.0 %. Inactive: Aloe Barbadensis Leaf Juice (ORGANIC), Butylene Glycol, Caprylyl Glycol, Caprylic/Capric Triglyceride, Cetearyl Alcohol, Didecyldimonium Chloride, Dimethicone, Glyceryl Caprylate, Glyceryl Stearate Citrate, Hydroxyethyl Acrylate/Sodium Acryloyldimethyl Taurate Copolymer, Jasminum Sambac Leaf Cell Extract, Methylpropanediol, Niacinamide, PEG-7 Trimethylolpropane Coconut Ether, Polyhydroxystearic Acid, Polyisobutene, Polyquaternium-80, Propanediol, Theobroma Cacao (Cocoa) Seed Extract, Schinus Molle Extract. The Ordinary’s Mineral UV Filters SPF 30 with Antioxidants offers unrivalled protection. Avoiding the use of nanoparticles (these are small enough to penetrate your skin and get inside your body), The Ordinary has formulated this sunscreen with ultra-refined zinc oxide and titanium dioxide, suspended within non-comedogenic (non-pore-blocking) silicones. No 1 Best Sunscreen 2019 by Prevention magazine. Plus, Bottle Turns Blue in UV Light! Our next-generation protection, made with 100% mineral-based sunscreen. Holistic 3-in-1 defense against UVA/UVB, pollution and dehydration. Lightweight fluid blends smoothly and rapidly into skin. Non-sticky. Won’t clog pores. Oil-free. Non-acnegenic. Free tote bag with dozens of samples with $150 beauty or fragrance purchase use code BAG2ASF, BAG2BSF or BAG2CSF. 10% off all beauty purchase or 20% – 25% off others use coupon code “SAKS2019“, ends 4/8. A tinted physical sunscreen that delivers powerful broad spectrum UVA/UVB protection and aids in the prevention of free radical and oxidative damage. Zinc Oxide 20%, Water, Caprylic/Capric Triglyceride, Dicaprylyl Carbonate, Glycerin, Pentylene Glycol, Steareth-2, Propanediol, Steareth-21, Polyhydroxystearic Acid, Cetearyl Alcohol, Silica, Sclerocarya Birrea Seed Oil, Aloe Barbadensis Leaf Extract, Chondrus Crispus Extract, Haematococcus Pluvialis Extract, Helianthus Annuus (Sunflower) Sprout Extract, Vitis Vinifera (Grape) Juice Extract, Helianthus Annuus (Sunflower) Seed Oil, Simmondsia Chinensis (Jojoba) Seed Oil, Raspberry Seed Oil/Tocopheryl Succinate Aminopropanediol Esters, Hydrolyzed Wheat Protein, Tocopheryl Acetate, Tocopherol, Sea Water, Acetyl Glucosamine, Cetearyl Glucoside, Sodium Stearoyl Glutamate, Tetrahexyldecyl Ascorbate, Glycine, Sucrose, Lecithin, Triethoxycaprylylsilane, Xanthan Gum, Trisodium Ethylenediamine Disuccinate, Caprylhydroxamic Acid, Caprylyl Glycol, Sodium C14-16 Olefin Sulfonate, Phenoxyethanol, Chlorphenesin, Sodium Dehydroacetate, Iron Oxides. (CI 77491, CI 77492, CI 77499). Nourish and protect skin with Soleil Toujours Organic Sheer Sunscreen Mist SPF 30 Travel Size, a clear sunscreen that is enriched with a more than 70% organic formula. In addition to this, it provides up to 80 minutes of water-resistant protection and is also free from oxybenzone or octinoxate, which can be harmful to coral reefs. La Prairie’s Cellular Swiss UV Protection Veil Sunscreen offers daily UV protection that acts as a powerful shield from sun and environmental exposure while brightening and hydrating the skin. Sheer enough to use over a moisturizer, this formula glides beautifully onto the skin with SPF 50 that prevents premature aging caused by the sun. No 2 Best Sunscreen 2019 by Prevention magazine. Elta MD UV Physical SPF 41 delivers chemical-free UV protection in a lightly-tinted, natural mineral-based formula. Oil and paraben-free, this product is ideal for sensitive skin. Active Ingredients: 9.0% Zinc Oxide, 7.0% Titanium Dioxide. Inactive Ingredients: Aluminum Hydroxide, Butylene Glycol, Citric Acid, Dimethicone/Methicone Copolymer, Hydrated Silica, Iodopropynyl Butylcarbamate, Isopropyl Palmitate, Lecithin, Linoleic Acid, Octyl Stearate, Octyldodecyl Neopentanoate, Oleth-3 Phosphate, Perfluoronyl Dimethicone, Phenoxyethanol, Polyacrylate 13, Polyisobutene, Polysorbate 20, Purified Water, Quercitin, Sodium Hydroxide, Sodium Selenite, Soft Tex Yellow Iron Oxide-C337773, Soft Tex Red Iron Oxide-C337775, Soft Tex Russett Iron Oxide-C337721, Soft Tex Black Iron Oxide-C337751, Thioctic Acid, Triethoxycaprylylsilane.